Joomla Training at JoomSchool International ! AK SHEHU instructing new 'Joomlers' on how to use Joomla! 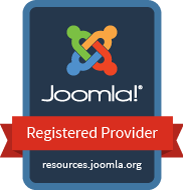 JoomSchool International is a registered Joomla! services provider located in Kaduna Nigeria, with an internationally recognised professional trainers that teaches Content Management Systems (CMS), enabling people to empower themselves with website development skills. Enrol at JoomSchool International to get the boost you need to achieve your dream on entrepreneurship and become self reliant!